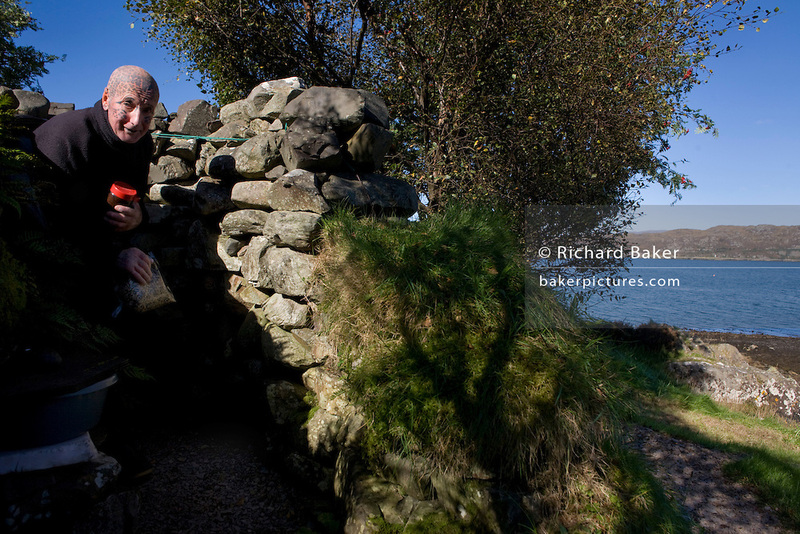 Tattoed hermit Tom Leppard emerges from the entrance of his secret makeshift hideaway shelter on Skye, Scotland. © Richard Baker. No copying, screen grabbing, transmission or publication without permission.